Cook chakkakuru with turmeric , chili powder and salt with just enough water.When it half done add mango and lil more water and cook till done. Grind all the ingredients inBowl 1 to a fine paste. 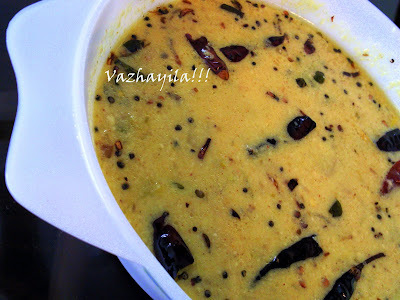 Add this with little water to the cooked chakkakuru-manga mix and simmer for a couple of minutes . Serve with Kuthari choru .